If you dont have a problem with it, and you dont care, thats fine, it's an individual decision. Some people might have an issue with it. It isnt paranoia, its medical privacy, and it matters. Even if its an FMCSA document, the employer is not the FMCSA, and NO not everything on there is relevant to them. Some people may not want to disclose a disability to their emplyer that doesnt affect their ability to drive. That is why a medical certiicate is issued, which states whether a Driver is medically qualified or not. That should be all the information an employer needs to know. Im Texas, the DPS only want you to send in the Medical Certificate. 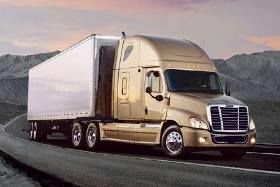 To get and obtain a CDL, you only need to provide the issuing agency, the Medical Certificate. Seems like it should be enough. No, I do not have a problem with this. Swift pays for my medical recertification, the exam is performed and administered by their Doctor. Since the long form is an FMCSA document, everything on there is relevant to them. Anyone else have a problem with companies requiring a copy of your long form physical? It seem to me is that the medical certification is all they need to have. Should we disclose to our employers medical history that does not concern the FMCSA medical requirements, which if we are honest during the process will be on that long form? It seems that the ADA would protect against disclosing disabilites not job related.